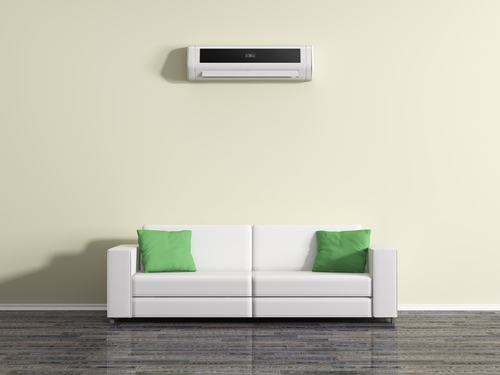 Simmark in Kangaroo Valley offers a full range of air conditioning services. With 22 years of experience in the field, Simmark’s team of professionals will keep you cool summer and warm in winter. Simmark is a proud supplier of Daikin air conditioning, a well-known and trusted brand, and our impressive sales record has seen us welcomed into the exclusive Club Daikin. Kangaroo Valley Simmark is specialised in installing Solar Panel Systems for your home and business. This process ensures that you can decrease your carbon footprint as well as global warming. As we have a tight quality control scheme, Simmark chooses to use Winaico and SMA as their products are designed to last. Furthermore, Simmark Kangaroo Valley is able to install the Tesla Powerwall 2, innovative technology that holds solar power until you need it! This means that even on a cloudy day, you are able to access 24hrs worth of power that can be used for necessities such as lighting, air conditioning and cooking utilities. Did you know that Simmark Kangaroo Valley also specialises in electrician work such as power point installation, switchboard upgrades, fault finding and application installation? At Simmark we ensure that all of our staff are qualified electricians that are able to assist you in all of your household and commercial electrical needs. Furthermore, have you considered who would be able to install the National Broadband Network for you? At Simmark Kangaroo Valley, we are able to assess your cabling needs along with maintaining your new connection to ensure that you have adequate wifi connection all year round. As we live in a fast paced environment both at work and at home, it is essential that all homes and businesses have security systems that will ensure that unwanted guests do not appear at your establishment. Hence, Simmark Kangaroo Valley offers its customers CCTV installation, residential alarm systems and swipe card access control systems. With our up to date technology, we are able to ensure that your premises will be more protected, allowing you to relax and not worry about potential intruders. Of course, our company will assist you in every step of the journey, offering assistance in repairs and regular maintenance. Yes, that’s right, we have trained plumbing experts ready to unblock your toilet, drain and even fix your leaking tap. If your toilet is in trouble, do not hesitate to give Simmark Kangaroo Valley a call, and we will promptly respond to your needs. We will fix your broken pipes and hot water breakdowns, and can even install a new system if necessary! We guarantee you excellent customer service, no matter what the situation. When things go wrong with your business, Simmark Kangaroo Valley is here to help! We specialise in air conditioning servicing to testing & tagging, emergency exit light maintenance, as well as smoke alarms and thermostats, ensuring that you can focus on assisting your customers. The Simmark Kangaroo Valley Commercial Maintenance team is made of professional crew who seek to exhibit corporate social responsibility by offering you the best service in town. Contact Simmark today for an obligation free quote on any of our services or to book a technician.